ChargePoint came to us with a need for quick-turn on the development of a retail package design system. Their product was being sold through channels that don’t display product packaging. They were presented with an opportunity to enter major retail, and needed to scramble to prepare for the retail channel. We developed packaging using direct-print white ink on mullen board (a type of corrugate with a nicer finish). You can see this packaging at your local Best Buy store. MOCO developed a solution that maintains the brand image and allows the two packages to simply be placed into an over-box for retail use. Click here to jump to our displays section and see the retail display we developed in conjunction with this packaging project. Echogear is an online brand of AV accessories. They wanted to take their brand image beyond that of a plain cardboard box. We developed a package design system that allows them add brand presence to their shipping cartons without adding cost (since the one-color black ink is used for the ship marks anyway). 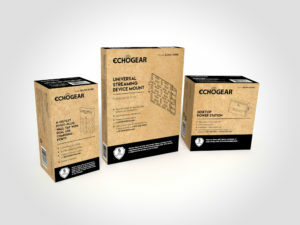 You can see this packaging by ordering one of their products at www.echogear.com. 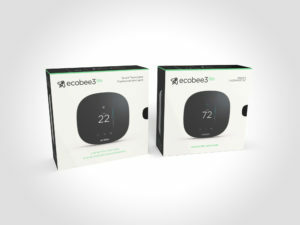 For ecobee, we manufacture dozens of individual packaging parts that are supplied in bulk to their factories in Mexico and China. Parts manufactured include corrugate boxes, folding carton sleeves, molded paper trays, instruction manuals, warranty cards, and other specialty pieces. You can see this packaging at most home stores and other large retailers. 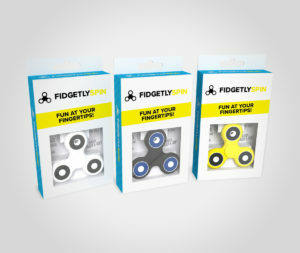 Fidgetly came to us with a need for quick-turn on the development of a retail package design system. Their product was being sold online, and shipped in brown boxes. They were presented with an opportunity to enter major retail, and needed to scramble to prepare for the retail channel. We developed a package design system using folding cartons with windows to showcase the product. You can see this packaging at your local Best Buy store. 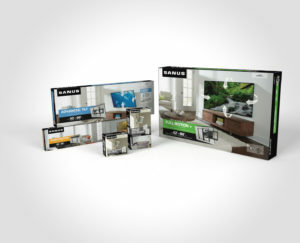 SANUS Flat Panel TV Wall Mounts are large, heavy products. Other complexities are helping the shopper to navigate a large SKU mix, and providing guidance throughout the somewhat complicated installation process. We designed a line of corrugate packaging with a color-coding system for product selection, and multiple layers of molded pulp trays with step-by-step reveals tied to the installation process. You can see this packaging at your local Best Buy store. 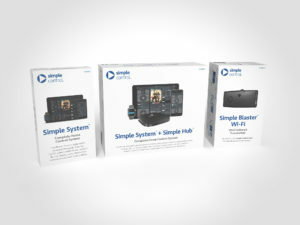 Simple Control was an online brand, selling direct to consumers. As their business expanded, they desired to enter the retail channel. 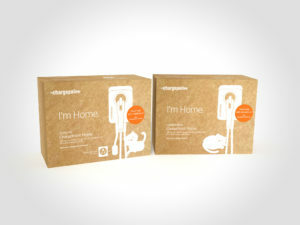 We developed a package design system comprised of rigid cartons for their primary products along with a poly-bagging approach for peggable accessories. This packaging can be seen at better independent AV dealers. 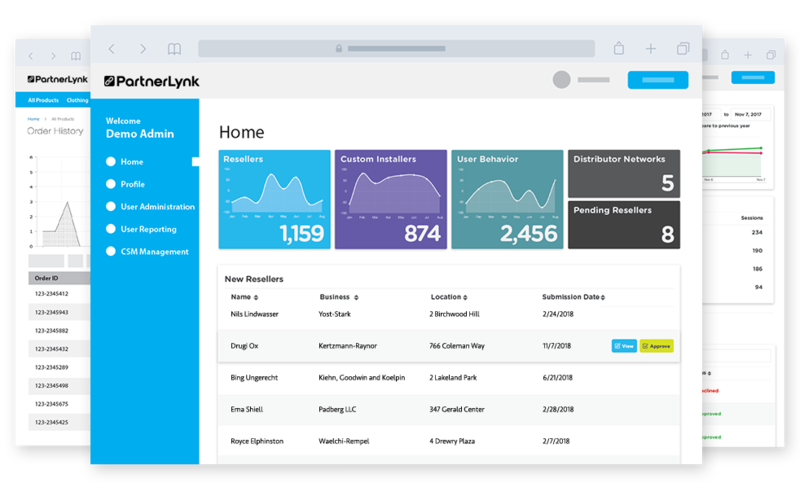 MOCO’s PartnerLynk portal offers cloud-based account setup, ordering, training and resources for your retail channel.